Buy Both for 10% Off! Get your yeti on with this realistically printed, wildly soft lounge set (shirt and pants sold separatly). 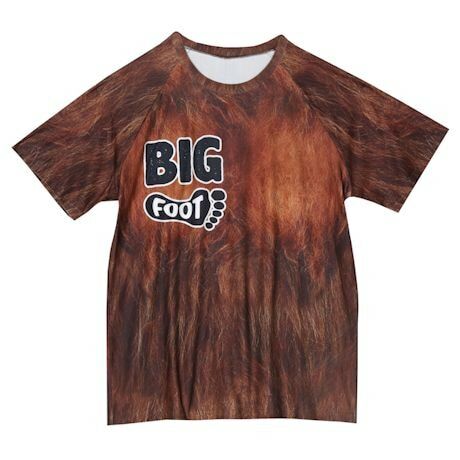 A Bigfoot logo decorates the front of the crewneck T-shirt and matching elastic-waist pants; on the back, "Hairy Bum" is printed right where it belongs. Machine wash.Poly/ spandex blend. Imported. 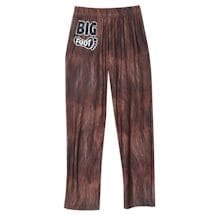 S-XXL.